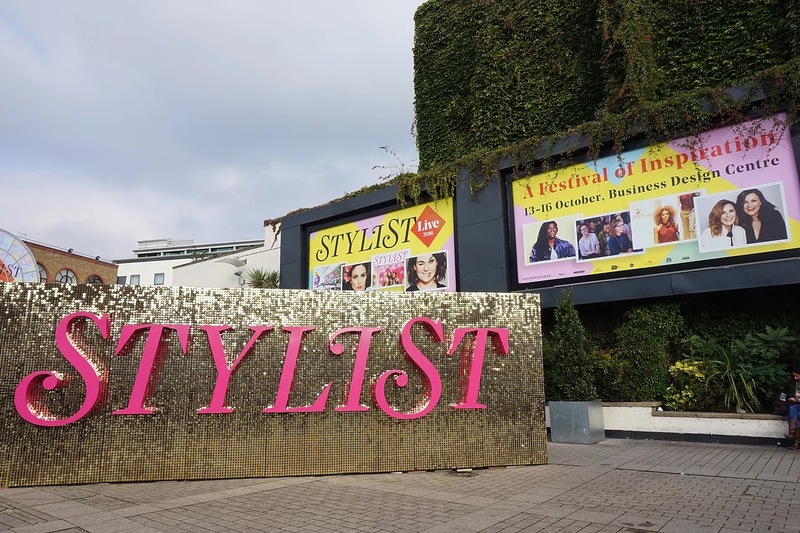 Anyway, a few weeks ago I got extra excited because I found out that once a year, Stylist hold this big event in London which in a way makes the magazine come alive. 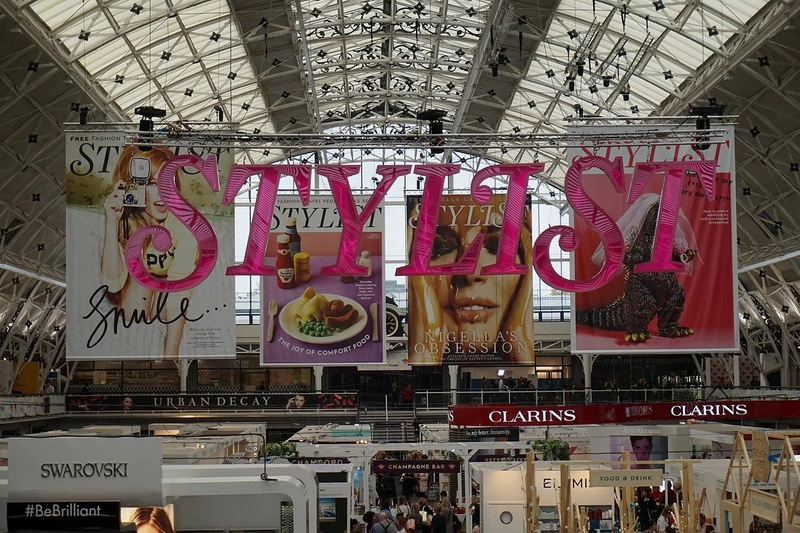 Stylist Live is an event where you can try new things, discover new brands but also listen to some very inspirational people talk about their personal experiences. The last couple of weeks I have been struggling with a cold/flu, the weather getting darker and colder and this made me wonder if I am doing the right thing by starting a blog. Do people really like what I have to say? I figured the best thing for me to do is soak up some inspiration and motivation! 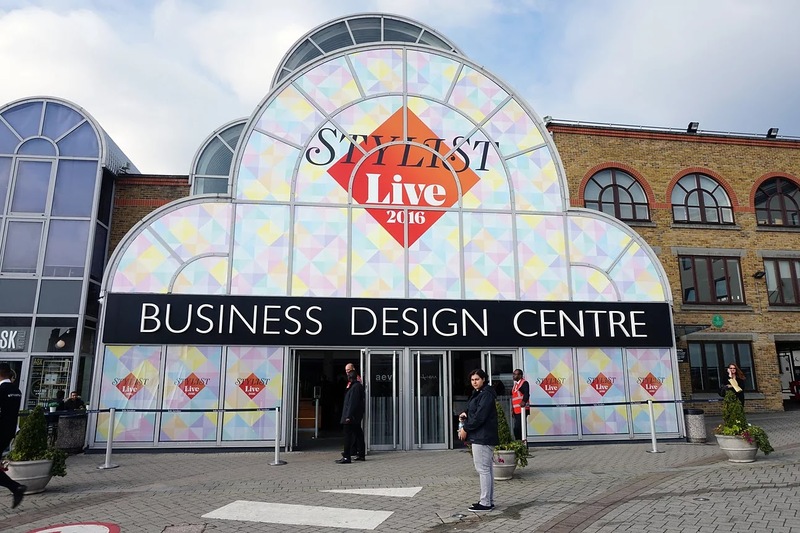 When I booked my ticket to Stylist Live, I found out that I could book some sessions to attend on the day. 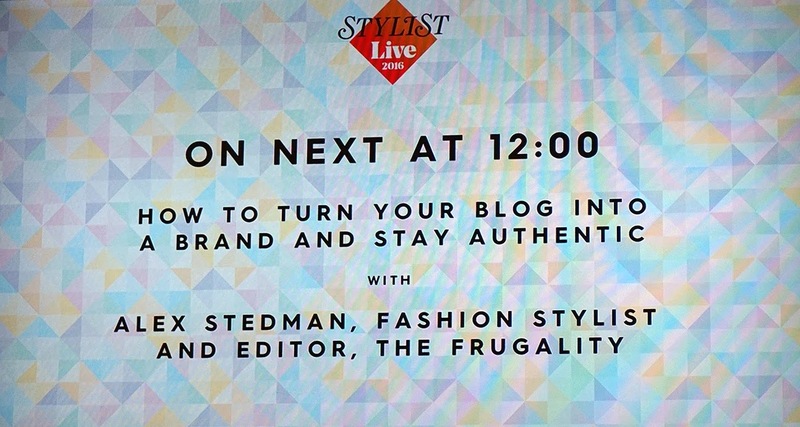 I looked at the titles and decided to go to one called "How To Turn Your Blog Into A Brand And Stay Authentic" presented by Alex Stedman, fashion stylist and editor of The Frugality. I am going to be very honest with you and say that before I went to that talk, I had never heard of Alex or The Frugality (I bet about 70K people want to slap me right now haha!). Looking at the title of the talk, I figured this one would be useful for me to go to, being a new blogger in the large world of blogging. 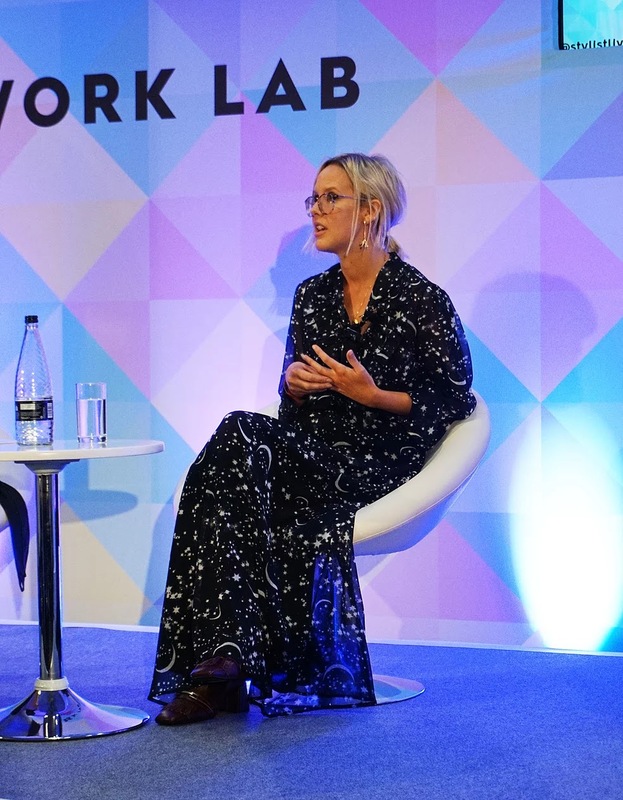 Alex talked about how she started off working for a magazine and had her own personal blog on the side but how at some point it became harder and harder to juggle both her job and blog at the same time. I can completely relate to that, being employed full-time myself and with me probably a lot of other bloggers as well. Anyway, she provided some useful tips and tricks to balance both. One of the things Alex mentioned is to really define where you want to go with your blog - why are you blogging, what do you want to say? What it your style and more importantly, what is your niche? I have never really thought of it that much but what I realised is that we need to be careful that we don't end up trying to write a little bit about everything. It's often better to focus on one particular thing. Also think about what you want your reader to get out of it. Another thing Alex spoke about is scheduling. If your blog is something you do in your spare time, we often find ourselves limited to free evenings and weekends. This might not allow you to place posts as often as you would like. Luckily, there are some really good ways through which you can schedule your posts. 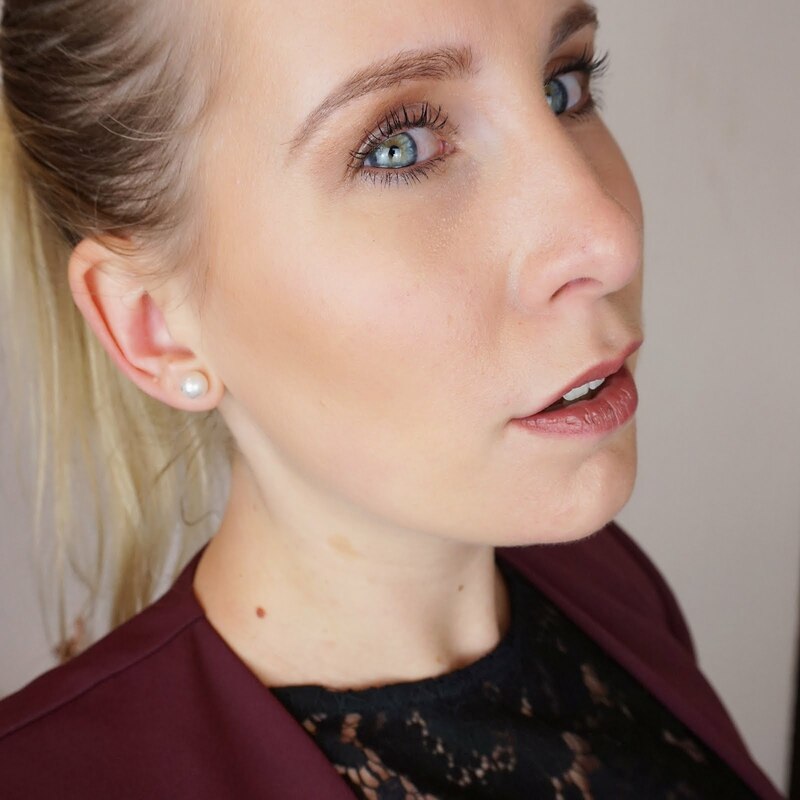 On Wix for instance, you can decide when you want it to place your post on the blog and there are apps that can help you with scheduling on Instagram and Twitter - some really useful ones Alex mentioned are 'Later' and 'Buffer'. Finally, Alex also talked about collaborating with brands. 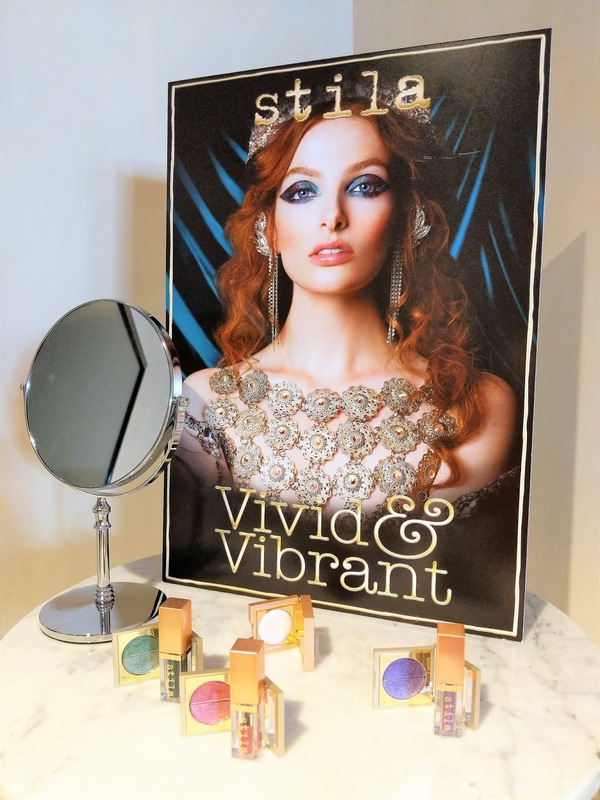 She mentioned something I found really useful - work with brands that work for you. Writing a blog post about something I don't believe in, is not going to help my readers and you would probably notice straight away. Another thing is to get any form of contract or agreement set up in writing. This is useful, especially if you are trying to make a living from your blog. I know we all love working with the brands we love but at the end of the day it is a business transaction. Alex's talk has really made me think about where I want to go from here. I am not sure yet which direction Beauty on Review is going to take me but I am definitely more motivated to find out! What motivates you and where do you get your inspiration?